Israel launched a Patriot anti-aircraft missile at the drone over the Sea of Galilee, IDF spokesperson Lt. Col. Jonathan Conricus told reporters. The drone was likely carrying out a reconnaissance mission, Conricus said. “Our current understanding was that it was an unarmed Syrian UAV. It appears to have been on an intelligence collection mission,” he stated, noting that the military was still investigating the incident. “It is still not clear why it crossed into Israel,” Conricus said. “As of now there has not been a response to it. We’ll see,” he added. 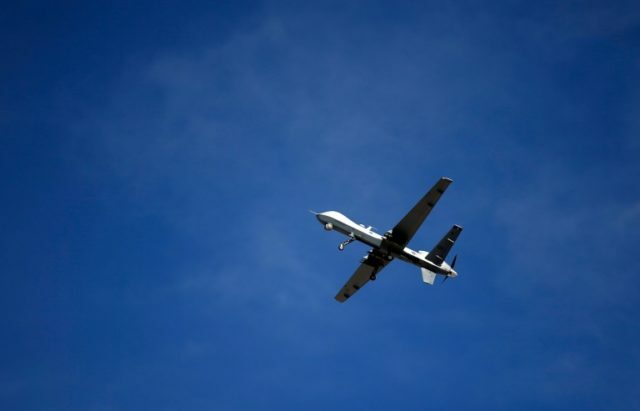 The delay in downing the drone raised questions, but Conricus dismissed them, saying the drone’s trajectory, first above the demilitarized zone in Syria and then over Jordan, was being constantly monitored and Israel was not taken by surprise. Instead, Israel wanted to first make sure “what we were dealing with,” he said. He added that the army wanted to be certain the drone was not being flown by Russia. Russian drones have been operating all over southern Syria since the Assad regime launched a massive offensive there in recent days. “It is a dense airspace. Additional caution was needed,” Conricus said. The IDF officer confirmed that Israel had been in direct communication with Russian forces in order to ensure that it was not their drone. “We made sure in real time that it was not a Russian UAV,” he said. “Once the optimal conditions existed, we decided to intercept the UAV with one Patriot missile from Safed,” Conricus added. Wednesday’s downing came just over two weeks after the IDF fired a Patriot interceptor missile at another Syrian drone heading toward Israeli airspace from Syria. Conricus said in that particular case it was immediately clear that the drone was not being flown by Russia.